But Family Poems is so extensive, with over one hundred original poems, in the variations for such relatively few categories, I felt the ability for the listener to "see" the full inside index of included titles, was essential. 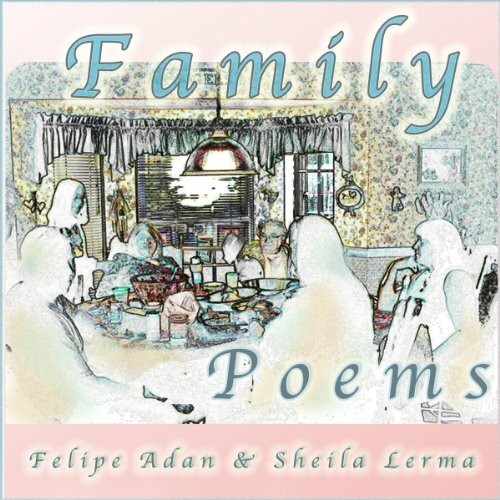 Within the categories of mom and dad, children and grandchildren, brothers and sisters, and extended family, my wife Sheila and I present the past and present body of poetry that began our wanting to create this many poems. In the early 90s, Sheila and I selling my art at malls and arts and craft shows, decided to create a few in-demand original titles that the people we saw each day indicated they needed, and wanted. Something for mom, something for dad, something for graduation and their pet, a dog or cat. So we started with a poem for each of one those topics. And through the years, continuing today, we have over one thousand original poems, responding to what people told us they would like. Family Poems has gems like "Angel Baby" and "Grand Child," "If Dads Were…and Expectant Mom." Some poems are humorous, and some are quite serious.